According to the Association for Talent Development’s State of the Industry Report for 2014, the pharmaceutical industry invests, on average, $1,392 per employee per year. This represents a significant investment by companies in their people and is one of the highest across all industry groups. It comes as no surprise, therefore, that pharma companies expect more and more from their training initiatives. 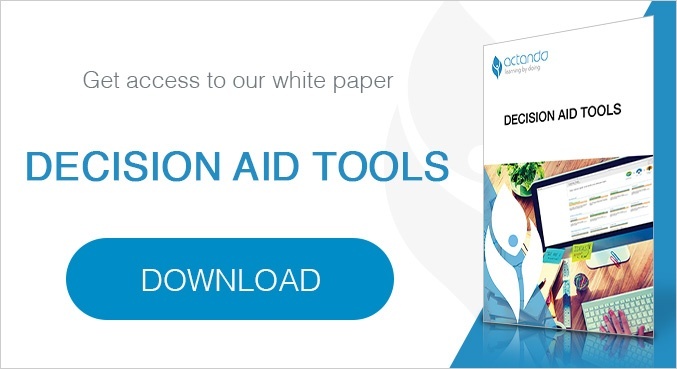 Gone are the days where companies would simply allocate training budget without much thought as to whether the training met the needs of the organisation or whether it catered for different learning styles. It is a simple but well-known fact that we do assimilate and process information differently and therefore, for training programmes to be effective, they have to cater for these different learning styles. In this article, we’ll take a look at different learning styles and try to identify the key elements that every training course should include if it is to meet organisational and individual objectives. 1. How do we prefer to learn? Learners are generally grouped into three distinct categories based on their preferences for the way material is presented to them. These groups are referred to as being visual, auditory or kinaesthetic learners. Visual learners rely on visual stimuli, preferring colourful material that is filled with pictures, diagrams and other visual elements to support the narrative being presented by the trainer. In order to meet the needs of this group the training programme must include printed or online materials combining text and images. It is also preferable to ensure that printed slides are available for use during any face-to-face training. Auditory learners have a clear preference for verbal communication, preferring to listen to presentations and explanations, using discussion with other delegates to process the concepts that they have learned. These learners prefer face-to-face training where material is presented verbally within a group environment. It is also essential that training courses have plenty of time for discussion and interaction to allow auditory learners to process the information they are receiving. The final group are referred to as kinaesthetic, tactile or movement learners, people who prefer to learn through hands-on activity or simulation. This group learn by doing, using movement to reinforce the points that have been presented. It is therefore critical that, for the training course to be effective, some form of simulation or practice is included within the course structure. In addition to the three elements above, we also have different preferences with regard to the type of information being presented to us, and how we internalise that information. Some of us prefer to learn through concrete, real-life experiences and examples whilst others prefer new information to be shared using more abstract models or ideas. Differences also exist in the way that we process new information. Some individuals prefer to process information by practising through active experimentation and others regard reflective observation as a more beneficial method of processing the information that they have received (Kolb, 1976). For any training programme to be effective, meeting both company and employee needs, it is essential that the programme design takes these differences into account. This means that the old approach of single channel delivery of information, be it face to face or online, is no longer appropriate if the organisation is to derive the maximum return from their training expenditure. 2. So what steps should a training programme include ? In order to ensure that you maximise the effectiveness of any training initiative, the programme should always incorporate four distinct steps: Experiencing, Reflecting, Thinking and Applying. Experiencing refers to the presentation of material and examples, followed by explanation and demonstration. In most training courses, this usually forms the very core of the training programme, either in the form of online learning or face to face in-class sessions. Trainees are typically required to absorb presented or online content, memorise it and then repeat it back after the training course in the form of a quiz or test. For some types of learning, such as Standard Operating Procedures or Compliance training, this may be sufficient. However, as the complexity of the subject increases, so the effectiveness of simply presenting the information to the trainees decreases. The Experiencing Phase is critical to any successful training programme. Material should be presented in a combination of formats, most notably online (ideally visuals with voice-over), as well as face-to-face. This allows the training programme to cater for the needs of both auditory and visual learners. The Experiencing Phase, however, should not be the start and finish of the course. As mentioned earlier, for effective learning to occur, the course needs to extend beyond the simple presentation of information. 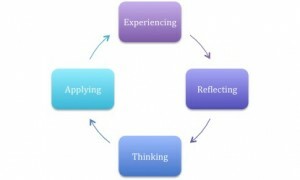 Reflecting occurs when trainees are asked to discuss the information that has been provided during the Experiencing phase. What did they observe during the previous phase, how did this compare to their current behaviour and identifying any practical best-practice examples that may exist in the group. In addition, each day should end with a short slot where trainees are asked to take time to reflect on what they have learned during the day. The Reflecting Phase is extremely important for Auditory Learners and any training course that does not include adequate opportunity for discussion and reflection risks not reaching this group. In the Thinking Phase, trainees may be asked to think about how the skills or models being taught could be applied within their current remit. The best time, we have found, to do this is through constant interaction during the presentation of the course itself. Interaction and discussion should always be encouraged, with sessions structured to ensure that sufficient time is set aside for the Thinking Phase. The final step involves the learners practising their new skills within the context of a simulation. It is this step that is most frequently omitted from marketing and sales training courses and yet it is arguably the most critical. Not only does it allow visual and auditory learners to consolidate the skills they have been taught during the programme, but it also allows kinaesthetic trainees to learn in a way that best suits their learning style. Simulations should be complex, challenging, engaging and, crucially, based on the typical reality experienced by the trainees. Simulations are therefore more impactful when they are taken from the same industry as the leaners. 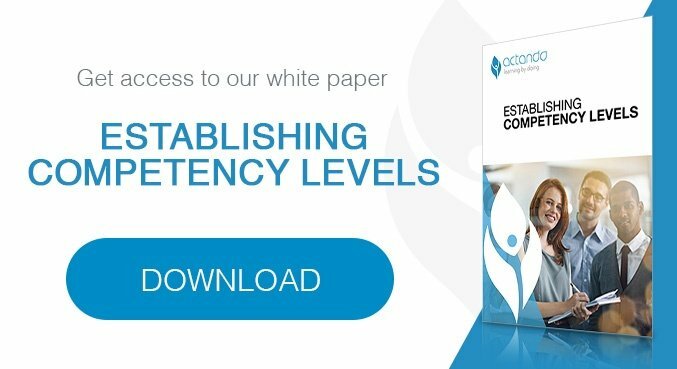 The complexity of the case study must be such that it ensures that leaners are actively challenged by the content and are forced to rely on the skills that they have been taught. Training represents a significant investment by the organisation in its employees. For any training course to be successful, it must cater for all learning styles and include not only the presentation of information but should also allow the opportunity for learners to practice the skills that they have been taught. This combination of online learning, face-to-face classroom sessions and the use of realistic simulations delivers a true blended learning programme that connects effectively and efficiently with each learning style and should therefore be the foundation of any training course commissioned. State of the Industry Report 2014. The Association for Talent Development. Accessed at www.td.org. Kolb D. (1976) Learning Style Inventory. McBer & Company. Boston. Kolb D. and Fry R. (1975) "Towards an Applied Theory of Experiential Learning". Theories of Group Processes. Wiley. How to Design Training Programmes for Successful Pharma Marketers? 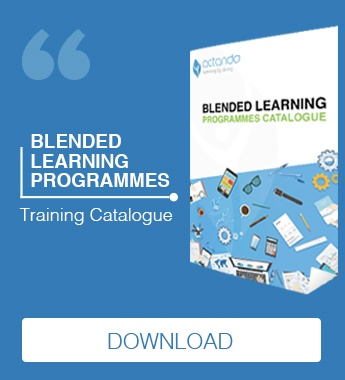 What is "Blended Training" exactly?